Food trends come and go. So how can you tell which tastes are trending right this minute? We took a data-driven look at the question, using Yelp to analyze which eateries have been most discussed this month. The results are in: several places serving pizza are on the upswing, along with trendy toasts and pie. To find out exactly who made the list, we looked at Los Angeles businesses on Yelp by category and counted how many reviews each received. Rather than compare them based on number of reviews alone, we calculated a percentage increase in reviews over the past month, and tracked businesses that consistently increased their volume of reviews to identify statistically significant outliers compared to past performance. Open since December, this pizzeria is trending compared to other businesses categorized as "Italian" on Yelp. Citywide, Italian spots saw a median 1.9 percent increase in new reviews over the past month, but Mr. Pizza saw a 46.3 percent increase, maintaining a sound 4.5-star rating throughout. Moreover, on a month-to-month basis Mr. Pizza's review count increased by more than 380 percent. 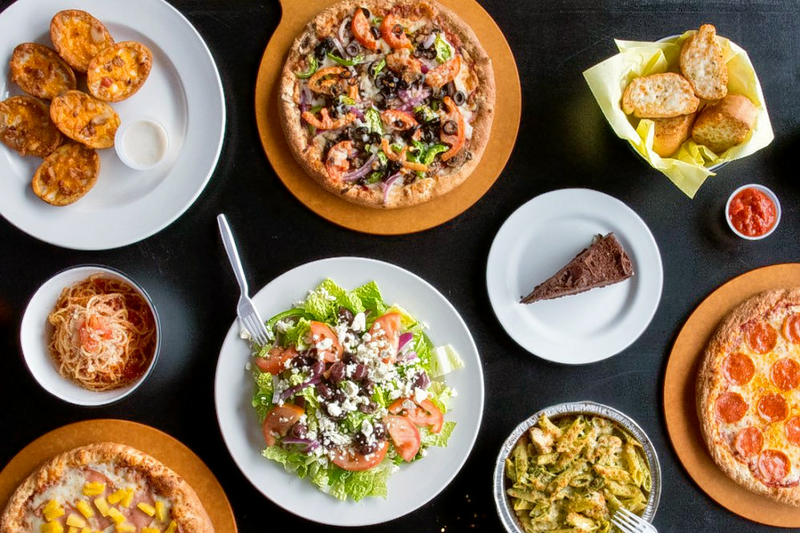 It's not the only trending outlier pizza place: Tu PanYou Pizza has seen a 33.3 percent increase in reviews, and Vito's Pizza has seen a 28.6 percent bump. 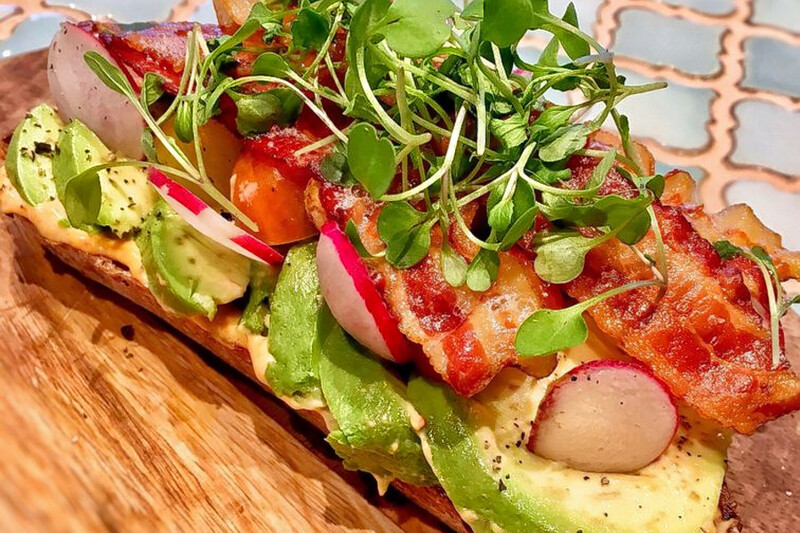 Whether or not you've been hearing buzz about Hollywood's Black Canvas Coffee, the breakfast and brunch spot, which offers coffee and tea and sandwiches, is a hot topic according to Yelp review data. While businesses categorized as "Breakfast & Brunch" on Yelp saw a median 1.9 percent increase in new reviews over the past month, Black Canvas Coffee bagged a 48.4 percent increase in new reviews within that timeframe, with a slight downward trend from a five-star rating a month ago to its current 4.5 stars. Open at 1411 N. Highland Ave., Unit B since November, Black Canvas Coffee offers specialty coffee, tea and healthy food options, such as toasts, sandwiches, bowls and salads. From the menu, order the turkey avocado croissant along with a blueberry and maple latte. Crenshaw District's Orleans & York Deli is also making waves. Open since June at 3868 Crenshaw Blvd., the deli has seen a 40.6 percent bump in new reviews over the last month, compared to a median review increase of 1.8 percent for all businesses tagged "Delis" on Yelp. Moreover, on a month-to-month basis Orleans & York Deli's review count increased by more than 160 percent. This is the fifth Southern California location for the local franchise. 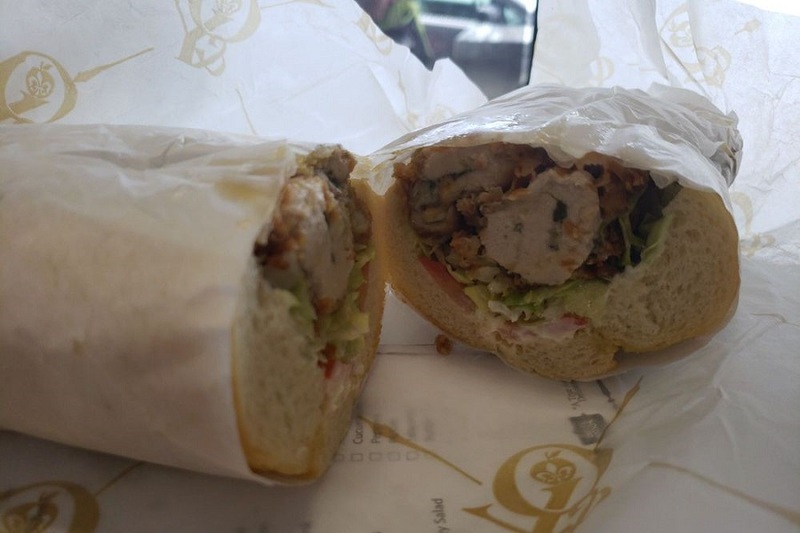 Orleans & York Deli offers bowls, sides, New Orleans-style sandwiches and New York heros. Try the O.G. Orleans muffaletta sandwich (mortadella, salami, capocollo, swiss cheese, provolone, olive salad) or get a taste of New York with the hot Brooklyn hero (mortadella, salami, capocollo, swiss cheese, provolone and olive salad). The rest of the menu can be found here. Over the past month, the eatery has seen its Yelp rating improve from 3.5 stars to four stars. Koreatown's Openaire is the city's buzziest New American spot by the numbers. 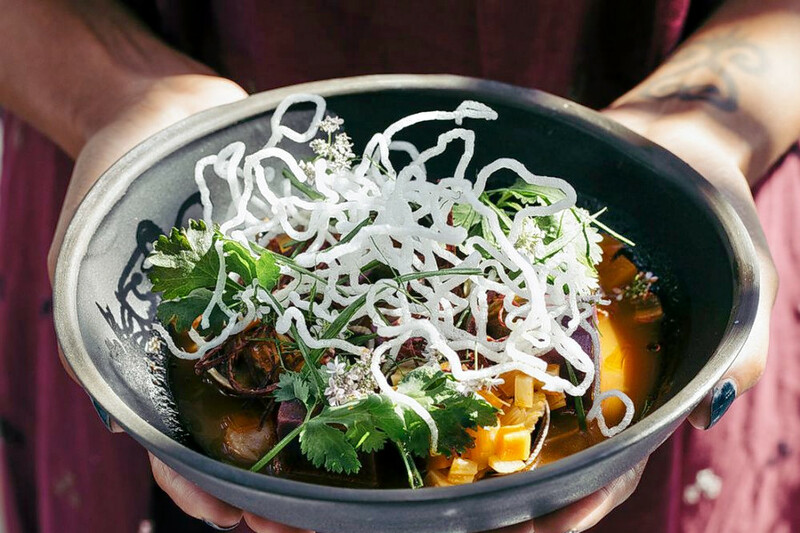 Helmed by acclaimed chef Josiah Citrin and set inside a renovated greenhouse in the Line Hotel, its ambiance and coverage from the Los Angeles Times and Eater LA may have contributed to its impressive foot traffic lately. It opened in the Line Hotel at 3515 Wilshire Blvd., Floor 2 in October, and increased its new review count by 38.1 percent over the past month, an outlier when compared to the median new review count of 1.9 percent for the Yelp category "American (New)." It outperformed the previous month by gaining 1.4 times more reviews than expected based on past performance. 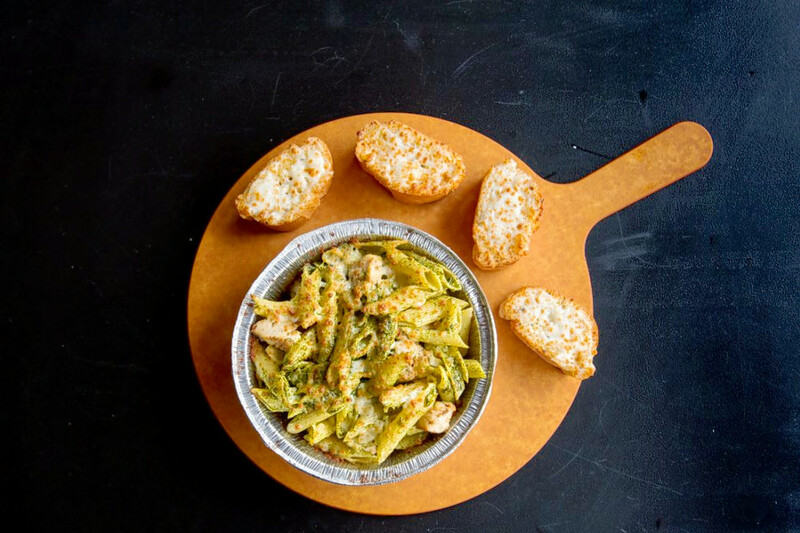 Openaire is an upscale eatery that offers salads, pasta, fish, steak and chicken. Pro tip: go at midday to order from the Power Lunch menu. You'll get a two-course, prix fixe meal for $25. Yelpers also recommend the passion fruit sorbet for dessert. Find the entire menu here. 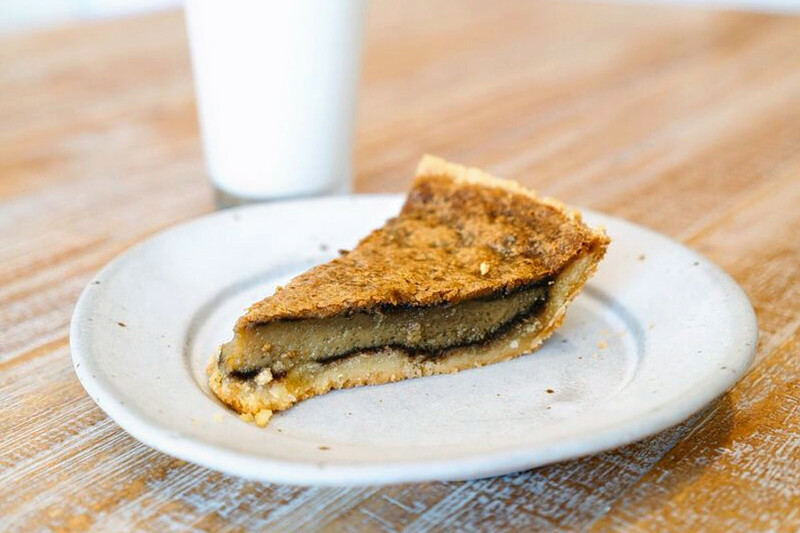 Brentwood's outlet of Winston Pies is currently on the upswing in the ice cream and frozen yogurt category on Yelp. This is the second location for the local business. Open at 11678 San Vicente Blvd. since October, the bakery offers homemade pies made fresh daily, often topped with a scoop of ice cream. While businesses categorized as "Ice Cream & Frozen Yogurt" on Yelp saw a median 2.2 percent increase in new reviews over the past month, this desserts spot increased its by a cool 20.4 percent -- with its Yelp rating declining slightly from 4.5 stars to four stars. Review counts increased by more than 560 percent on a month-to-month basis. The case is stocked with five kinds of pies everyday (Harvest Apple, Blue Ridge Blueberry, Dixie Classic Cherry, Key West Lime and Chocolate Cowgirl) along with vegan and seasonal offerings. Don't forget to top your slice of pie with a scoop or ice cream or frozen yogurt.